4 Bedroom Detached House For Sale in Biggleswade for Asking Price £425,000. A detached family home situated in a small quiet cul-de-sac in the desirable Saxon area of Biggleswade. The property is presented immaculately with neutral tone throughout and floor to ceiling tiled bathroom suites. Accommodation in brief comprises; entrance hall, three reception rooms, three generous double bedrooms, a single but spacious fourth bedroom, kitchen with utility area, downstairs WC, family bathroom and an en-suite to master bedroom. 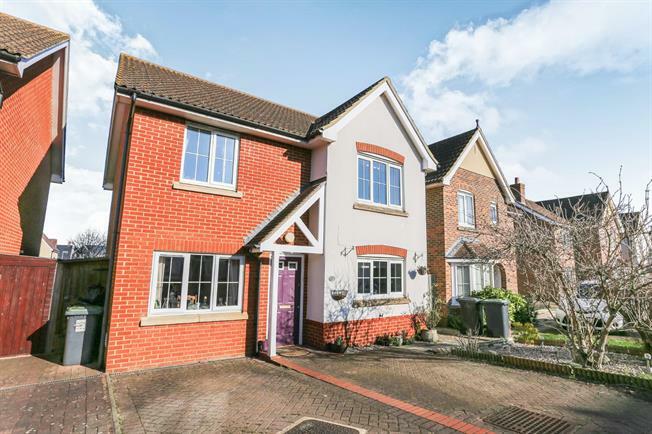 Externally the property features a double width drive providing off-road parking to the front and to the rear, a private enclosed garden mainly laid to lawn with a paved patio area.